latest release from LA based Kotomi. Representing the label's first foray into the world of electronic singer songwriters, it is a sound that will be appreciated by music enthusiasts worldwide. Kotomi (Lauren Hillman) is a Los Angeles based composer, artist, and producer, whose haunting melodies and dreamy pop sensibilities meld together to create asound that is all her own. She grew up playing classical piano and obsessing over Chopin and as she learned to self produce her music, she began experimenting with more industrial and electronic sounds. 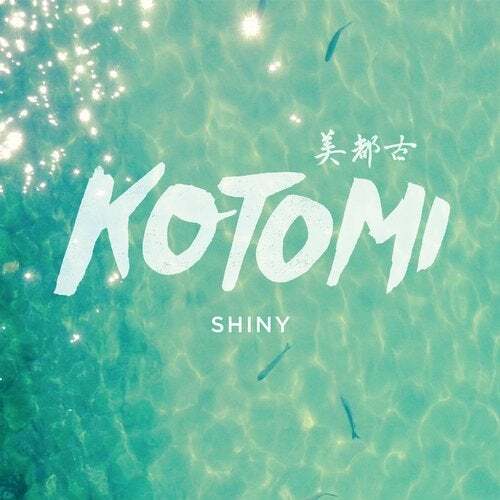 Previously working with the likes of Cyril Hahn and with support from Ryan Hemsworth, it's no surprise that Kotomi's song's have been featured on BBC radio, as well as on indie tastemaker blogs such as Gorilla vs. Bear and Turntable Kitchen. As a busy and passionate producer, she is currently working on her next EP and composing a film score for the ESPN series "30 for 30'. Musically the release blends influences of jazz, electronica and pop with smooth and soulful vocals. The EP's accessible melodies are ideally suited to the poolside and beach with remixes detouring to the dance floor and beyond. This is a release that really demands closer listening to appreciate the talent that Kotomi is.